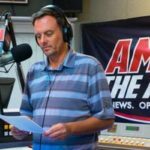 Join AFF-Chicago and AM 560 The Answer radio talk show host Dan Proft for a conversation on the results of the 2018 midterm elections and what they mean for liberty-loving Chicagoans now and in the years to come. Happy hour begins at 6:00 pm. Conversation begins at 6:30 pm. Tickets are $10 and include complimentary food and two drink tickets.